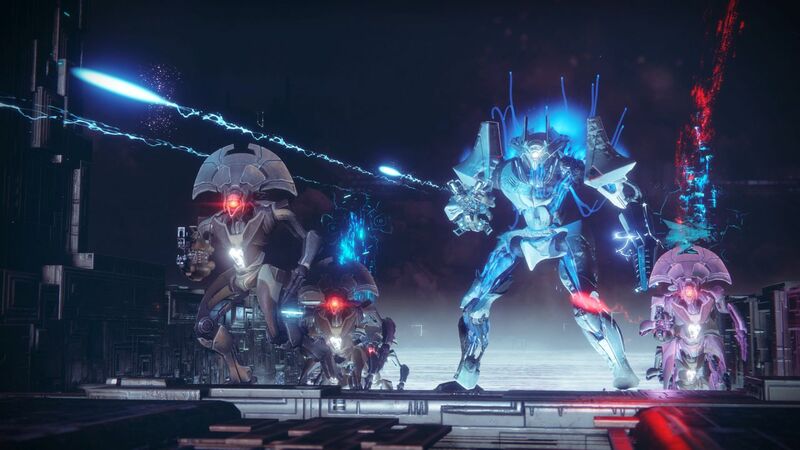 This is our complete Destiny 2 Inverted Spire Strike guide, featuring a complete walkthrough of the entire mission, as well as a section dedicated to the particularly difficult Modular Mind final boss of the Strike. 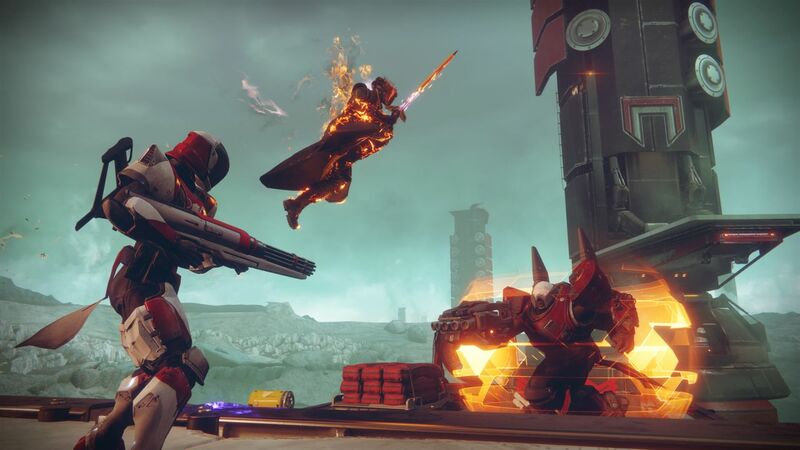 Should you need anything else relating to Destiny 2, make sure to check out our Destiny 2 guides walkthrough hub, where you can find every Exotic weapon and armor item in the game, as well as all the special editions and DLC details for the game. When you first arrive in Nessus to take on the Destiny 2 Inverted Spire Strike, you'll be given the objective of investigating the Cabal. Simply head down the path ahead of you, towards the marker, and you'll find a group of Vex fighting Cabal forces. There's a shielded Minotaur here, but nothing else too challenging apart from that. After you've defeated all enemies here, activate the small tower in front of you using your Ghost, and turn to the right, where a group of pillars will have spawned in mid air. Carefully jump over them to make it to the other side of the chasm, and hop through the portal, propelling yourself through the air to the next section of the Inverted Spire. Move forward, taking down the three Legionaries and the Psion, and hop through the next portal, taking yourself to the next area of the Strike. Follow the path ahead of you through the cave with Vex architecture either side of you, until you come to an opening with Vex and Cabal forces fighting to your right. Take out all enemies here, including a powerful Bloodguard Centurion with a hefty shield, and a few Hobgoblins that can be a headache to deal with. Straight ahead of you, there'll be a large ball embedded in the ground, surrounded by a few Incendiors. Once you've taken out the Incendiors, the ball will become another portal, propelling you upwards to a ledge with more Vex. Defeat the Goblins and Hobgoblins, as well as the Minotaur, and follow the path lit up that leads through a chasm in the wall, coming to the edges of the Digsite with a few Gladiators there. The Gladiators are tough, so keep your distance and keep moving while dealing with them, and you'll be fine. 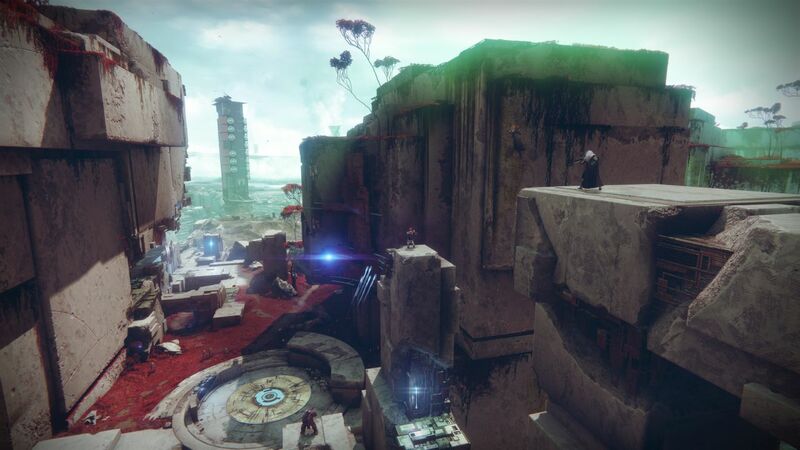 Head towards the objective marker, descending down the platforms, and follow the path through the Vex architecture, and you'll eventually come to the Digsite. There are Vex and Cabal forces fighting yet again here, as well as some Warbeasts patrolling the area, so be aware of your surroundings at all times as you press through this area, as the Warbeasts can strike from anywhere. Take out the powerful Drill Site Security Officers in their huts, and you'll be given the new objective of boarding the Cabal Drill. Interact with the levers at the edge of the current area to activate two gravity lifts taking you up to the drill, where you'll have to take out more Cabal before heading inside the drill and dropping down to the platform below. Here, take out the Cabal waiting for you, and scan the middle structure with your Ghost, setting off a countdown. During this, you'll have to hold off more Cabal forces, including Incendiors and Warbeasts, as well as Gladiators and a Bloodguard Legionary. Once the countdown is done, head through the gravity lift, and you'll be in a new area with more Cabal forces. 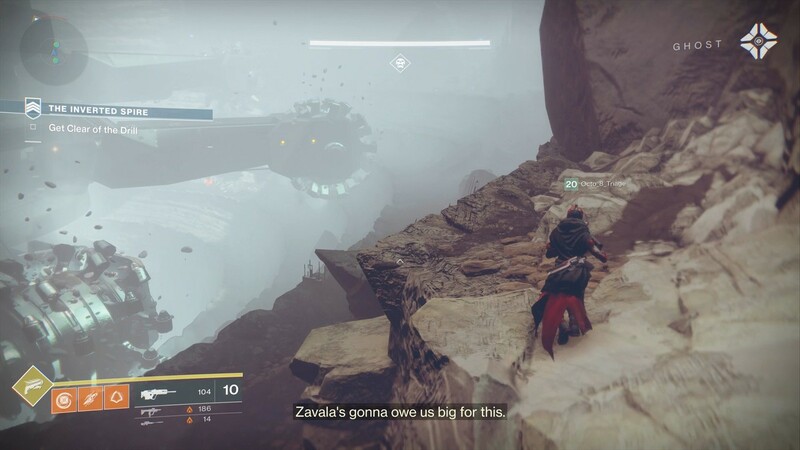 Take out the Cabal infantry on your side of the chasm, but ignore the troops on the ledge above you, instead dropping down to a platform on your left. Take out the Bloodguard Incendior waiting for you here, and press forward, coming to the Digsite itself. Here, there's a massive drilling machine just waiting to take you out with one of its many arms, so make your way round the right of the digsite, making sure to dodge the arms and deal with Cabal forces as you go. Don't spend too much time fighting the Cabal however, as you always want to have an eye on where the arms of the drilling machine are. Keep pushing around the Digsite to the right, and you'll eventually come to a tunnel leading away from the Digsite, on one of the lower levels. Follow the path here round the corner, and you'll come to an arena where the Protheon. Modular Mind boss will spawn. This boss is basically a massive Minotaur, so make sure to aim for its head, and take out the Vex forces that spawn either side of it part way through. Proetheon. Modular Mind, the final boss of the Inverted Spire Strike. Protheon Modular Mind will occasionally disappear and respawn shortly afterwards on another side of the battlefield, so make sure to keep moving and adapting to wherever the boss is, never staying in the same spot for particularly long. Once the Modular Mind boss is down to roughly two thirds of its health bar, the floor of the arena will disappear, and you'll be dropped down to a new floating platform where Modular Mind is waiting for you. Fight the boss once again, making sure to take advantage of the cover scattered around the platform, as well as taking out all the Goblins that spawn nearby the boss. At certain points, the floor will turn red, dealing damage to all Guardians, so make sure you get yourself to a new platform around the circular level whenever you see this. Protheon. Modular Mind will put up a tough fight all the way, but once again he'll disappear after a while, and you'll drop down to another platform where the boss will be waiting for you yet again. Modular Mind is quicker now, having more room to move around in, so make sure to keep taking advantage of cover around the battlefield in order to whittle down its health. Keep aiming for Modular Mind's eye, and you'll deal excessive damage to the boss, eventually decapitating it whole. It'll keep fighting, however, and make sure not to stray off the platform, as you'll take constant damage if you do. Defeat Modular Mind, and any allies it summoned, and the Inverted Spire Strike will draw to a close. We've got additional Destiny 2 Strike guides here at USgamer, all of which can be found inside our Destiny 2 Strike guide hub page, where we'll be adding guides on any new Strikes that Bungie adds to Destiny 2.